As a teenager, the heaviness I just couldn’t shake got even heavier as I desperately tried to sift through who I was and where I fit in the great social circle of school. My parents were great parents, but even the best cannot see the pieces that were missed somewhere along the way until the holes are gaping. When I was sixteen, I was diagnosed as “clinically depressed.” Despite being an A student and well thought of by my teachers and peers, I was a mess on the inside. Rejection and rebellion are related demons, and both were at work in my life. I began to rebel against everything I knew to be right and devastated my parents in the process. I began using relationships to numb the ache of emptiness, eventually ending up a single mother at the age of 21. Even in my wandering, God’s Hand was always upon me. Although I had at one time given my life to the Lord, after nearly 10 years of living medicated and miserable, a friend of mine in a prayer group spoke enough faith into me that I began to pursue absolute freedom in Christ. For a solid week, I used God’s Word relentlessly to rebuke every lie of Satan and I can testify that the depression finally left me. I threw away the meds and have been walking in that freedom since! Chris’s beginnings were not in church. He attended occasionally but it was not a regular part of his life. Although his parents divorced when he was young, his childhood was good. He spent most of that time with his mother and step-father, who “did what they knew to do the best they knew how to do it.” He was able to maintain a good relationship with his biological father as well. But still, there were holes and they began to show up in the form of substance abuse while in high school. Alcohol became a vice that morphed into infractions with the law and multiple DUI’s and arrests. It has been said that sin takes us places we never wanted to go. Chris will testify that his life’s dream was not to end up with an ugly driving record of alcohol abuse that opened the door to methamphetamine. But the addiction destroyed the dream of going to fire-fighting school and being a stable father to his daughter, Chesnie. He instead ended up serving several prison sentences while his daughter was nearly placed in foster care because of substance abuse by her mother as well. Once out on parole, he quickly picked up his drug habit again. One day, with an application to the Heartland Men’s Recovery Center on the front dash of his pickup and irrefutable drug paraphernalia in his vehicle, he was pulled over (after unsuccessfully trying to outrun the cop!). Sitting in county jail, he began to really hear the message of hope through Christ’s love and forgiveness by those who came and visited him. He surrendered his life to the Lord and God’s plan for his life began to be released! After having been accepted by the Men’s Program, Chris came to Heartland in 2012. Through a series of events that clearly testified to God moving in his circumstances, he ended up skirting a lengthy prison sentence and getting full custody of his daughter. I came to Heartland in 2011 and eventually ended up a single mother again at age 30, but this time with 5 children in the wake of the end of a tumultuous marriage. It was in this time of darkness the tender Hand of God turned my face to His so I could begin to really SEE who He was. He showed me over and over again He was the Father to my children, the One who would never leave me or forsake me. He was truly my Sustainer, the One who would finally fill in all the holes that had haunted me. 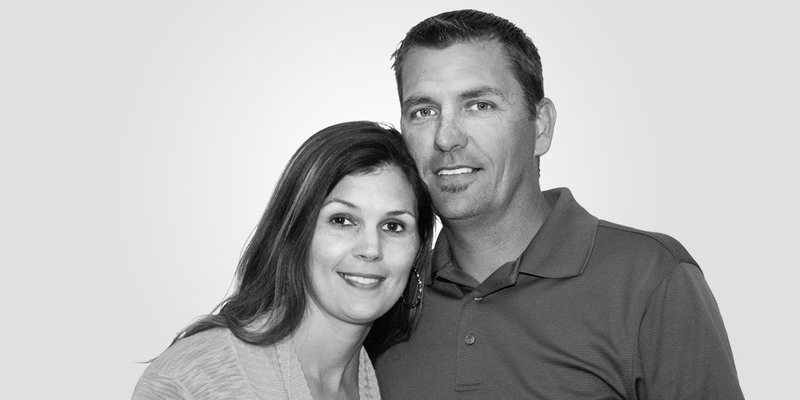 Even in the busyness of family life, Chris and Natalie find ways to serve our local church. Chris’ job as a construction foreman has made him a great asset in several missions trips around the world, and being a member of the worship team is one way Natalie expresses her love for God as she sings and plays in church and GPS Kids services. The couple is pictured below with their beautiful family.